The meaning of flexibility, accuracy and efficiency in the context of raw material provision can be seen in Bleiswijk, the Netherlands. 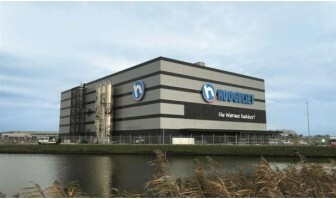 Zeppelin Systems GmbH supplied a system solution for Hoogvliet’s new bakery that sets standards. Dozens of intelligent detailed Solutions are what make the difference. Zeppelin Systems will demonstrate its new approach to planning and designing plants for the plastics industry at the K 2016, hall 9, booth B41. Dutch supermarket group Hoogvliet is producing fresh pastries several times a day. Backtechnik Europe awards it production of the year 2016.